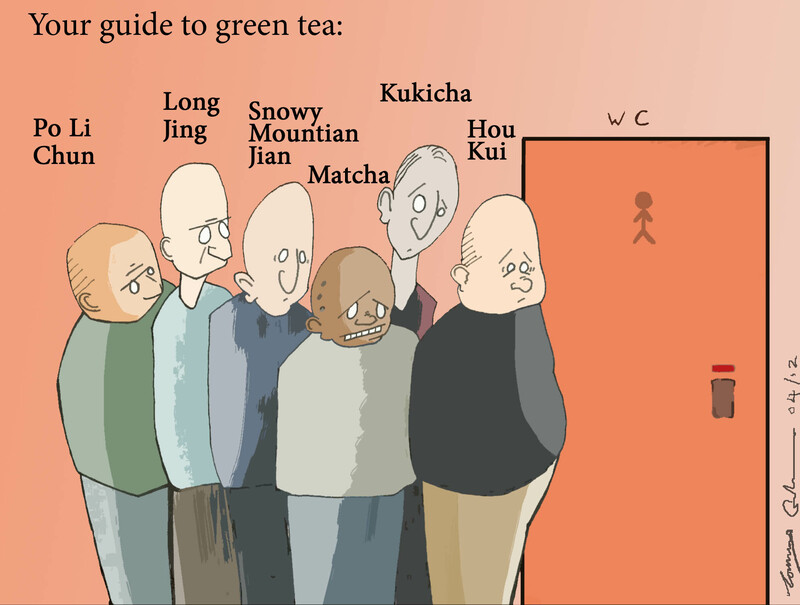 It was three years ago when I first wrote a blog about the virtues of green tea. (You can read it by clicking on the ARCHIVE – 29 APRIL 2012). A research study in Tokyo suggested that green tea drinkers were more active and healthier. “Green tea is known to exert anti-obesity activity like reduction of adipocyte differentiation and proliferation, lipogenics, fat mass, body weight and fat absorption“. I have always been worried about my adipocyte differentiation and proliferation but if went to my GP I’m sure he would think I had gone nuts. On top of all this, I recently came across a blog all about the virtues of tea on the iSeniorsolutions website. They particularly paid attention to benefits of drinking green tea and how it helps regulate glucose levels for diabetics. It also improves cholesterol levels. and even better it contains an anti-oxidant called “Catechin” which helps destroy bacteria and therefore reduces tooth decay. I don’t know why we are not drinking gallons of the stuff – it would save the NHS a fortune. My theory is simpler. It is all down to the extra exercise you get walking back and forth to the loo :-). well? i never, what was that old pantomime joke, or playground song/rhyme of yesteryear- green tea makes you pee, makes you want to go to the lavotory? and so the ditty progresses. good on you Mc duff not only do you offer solutions to a bodily functions, but you also disturbs the mind, and bring back many happy, but maybe naughty memories? It is good to read, talk and blog!!!! You are a wonderful windbag, you old ‘fart’.